Ministry Context or What I learned About Portland Last Week — Collaboration Rocks! Sunnyside UMC hosts the Common Cup Family Shelter. Common Cup refers to the fact that several area churches collaborated in the shelter’s founding. Area volunteers went back to their home church (1st UMC Portland) and began the Goose Hollow Family Shelter. Guests at Common Cup and Goose Hollow can receive day programming at Thirteen Salmon Family Center, located at the First Unitarian Church of Portland. Folks at Thirteen Salmon and Goose Hollow’s parent agency (Portland Homeless Family Solutions) gave me two pages of notes worth of insight into family homelessness in Portland. Plus they were super enthusiastic to share knowledge and resources. If you go to Salt & Straw Ice Cream shop (as I did last week and will again many times in the future), they are offering flavors discovered through a collaboration with the local Farmer’s Market community. Pear and Blue Cheese ice cream? Yes, it’s awesome! (See Farmer’s Market flavors here). 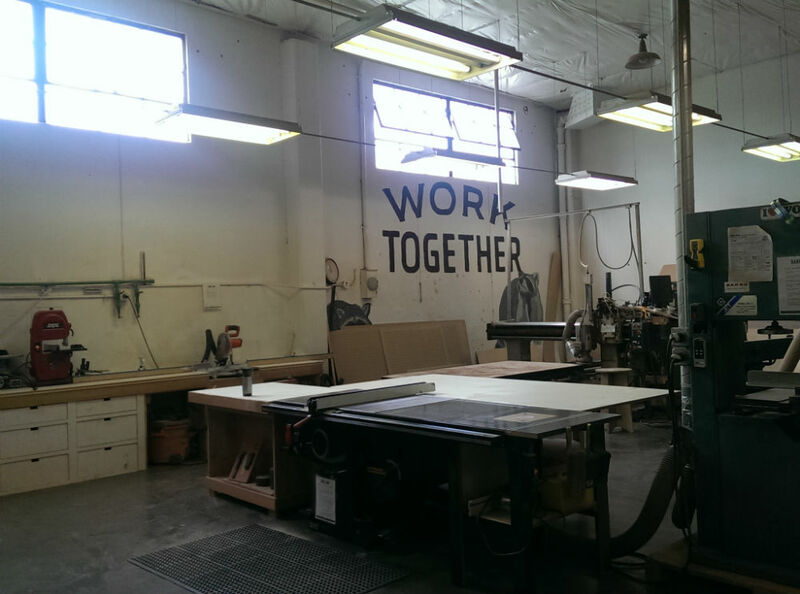 Also last week, I took a tour of ADX Portland, a community wood and metal shelter. It was basically a build-it-and-see-who-comes idea to share space, tools and knowledge to encourage local builders. They have a 3d printer, laser cutter, and fully operational metal and wood shops. ADX collaborates with local handcrafter Hand-Eye Supply (maker of awesome knives, et al) to host the “Curiosity Club”. I’m not sure what they talk about, but I bet it’s awesome. Renting long-term space in ADX’s is a boat maker and teacher, an artistic woodcraftsman, an upholsterer, a bicycle builder and a glass artist. One of my gifts and passions is connecting the church to the community. When I was in Bluefield, I joined a County Health Assessment since I knew that health outcomes in southern West Virginia were well below national standards. The big idea was to connect the church to the efforts to better health in Southern West Virginia. In Morgantown, I saw first hand how scarce affordable housing was for low-income residents. So I joined Mon County Habitat. The big idea there was to harness the church into advocacy for the working poor of Morgantown. I learned through both of these experiences that there is knowledge and wisdom among the locals. Re-inventing the wheel is unnecessary not to mention arrogant. What I also found is that local agencies need community support to succeed. The county health department does a ton of good. But raising health standards requires a full community effort. Churches can and should connect the various pockets of a community. In Portland, I am on the lookout for elements that are not connected. Portland’s penchant for collaboration has taught me to approach this kind of match-making with joyful expectation that awesome things happen when we get together. So I am now looking at collaboration for the church. It is part of the ethos of Portland, an aspect of the community that is to be celebrated. It has been joyful and tiring work to learn about the city. There will come a time when forging a path will become necessary. It may be a bit painful to say ‘that partnership won’t work’. But that will be followed by ‘this partnership might work and might work swimmingly’. Viva la connexion! Previous Previous post: Ministry Context or What I Learned about Portland Last Week — Bridges!